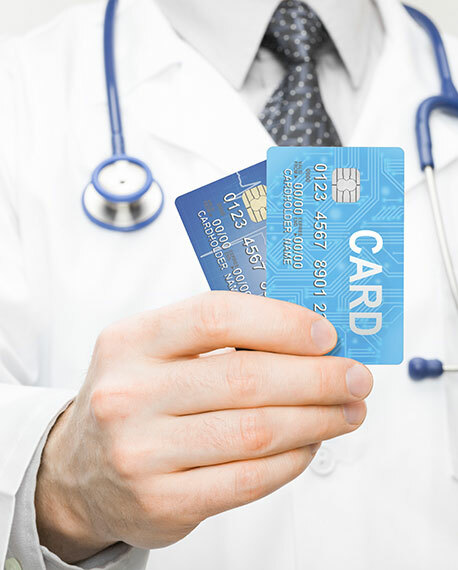 There are three main kinds of healthcare accounts linked to debit cards that individuals can use to pay for qualified medical, dental and vision expenses. Employers can choose to provide Flexible Savings Accounts (FSAs) to their employees. Although both employee and employer are able to add funds to FSAs, the account is owned by the employer. The employer restricts FSA spending to specific areas such as individual healthcare, dependent care or other limited-purpose expenses—hence the account’s “flexible” description. A healthcare FSA can only be used to pay for qualified healthcare expenses. Employees sign up for FSAs once a year. At that time, they estimate their healthcare expenses for the upcoming year and decide how much they’d like to contribute to the account. A fraction of that amount can be taken out of each future paycheck until it’s met. The employer may choose to contribute an additional amount. The total is limited by the IRS to $2650 per year per employer and is available for immediate use in the individual’s FSA account. At the end of the year, the employer has the right to collect unused funds. They do, however, have the option to let up to $500 roll into the following year, or give the individual two and a half months to use leftover funds (but not both). Individuals don’t report FSAs when they file taxes. Health reimbursement accounts, also known as health reimbursement arrangements, are owned by an individual’s employer, who is the sole contributor of funds. Like healthcare FSAs, HRAs can only be used to pay for qualified healthcare expenses. The individual doesn’t pay taxes on HRA expenses. Unused funds can roll over from one year to the next at the employer’s discretion, and there are different payment plan options. For example, the employer might require the individual to meet an out-of-pocket deductible before the HRA becomes available, similar to a health insurance plan, or vice versa—the employer might make the HRA available up front and then require the individual to pay out of pocket once it’s used. There are also bill-splitting plans that require the individual to pay for a set percentage of each purchase while the rest is covered by the HRA for the duration of the arrangement. Individuals who pay for high-deductible health plans (HDHPs), can’t be claimed as a dependent on anyone’s tax return, and have no other health coverage are eligible to set up Health Savings Accounts with trustees such as banks and insurance companies to pay for qualified healthcare expenses. They are owned by individuals, who can invest cash in them. Any interest that accrues is tax-free. Employers, family members and others may contribute funds to the account on the individual’s behalf, and all non-employer contributions are tax-deductible. Employer contributions may be taken out of the account holder's gross income. Funds remain in the account until they’re used, and the account isn’t affected by changes in employment. The Special Interest Group for Inventory Information Approval Systems, known as SIG-IS, manages and updates a list of qualified healthcare expenses that HSAs, HRAs and FSAs cover.